When there is only minor recession, some healthy gingiva often remains and protects the tooth, so that no treatment other than modifying home care practices is necessary. 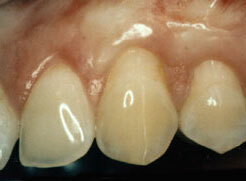 Greater amounts of recession sometimes require soft tissue grafting for health and appearance. 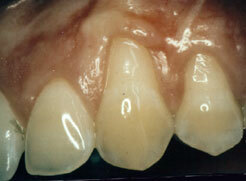 Gum recession often results in root sensitivity to hot and cold, as well as an unsightly appearance of the area. When significant, gum recession can predispose to worsening recession and expose the root surface, which is softer than enamel, leading to root caries and root gouging. 5 out of 5 stars based on 3 Gum Grafting reviews. Dr. Weiss and his team are all professional and kind. Dr. Weiss did an amazing job with the procedure. Very pleased with the results. Very pleased with the after care follow up. Dr. Weiss called me personally the same day of procedure to check up on me. I would recommend dr Weiss and his team to others in need of care. Everyone has been extremely nice and helpful.